Ninja Cookies for Christmas (or December Holiday Event if you want to throw shuriken about it). When I was a kid, the word “Ninja” was unheard of outside of very small circles and of course large Octagons. Chuck Norris helped keep this secret word hidden back in the bad old days. Now, the word Ninja is a household name and something I have watched grow the majority of my life. Here at NinjaGym® we couldn’t help but jump for baked goods this clandestine. Not only is the name Ninja now in our household, but it’s made it to our ovens too with these Ninja style cookie cutters. This Holiday you can add some KICK to your Eggnog by baking up some delicious Ninja Snacks or Chuck Norris Karate Cookies if you are weary of men in masks. These goodies will have the kid in you jump-kicking for more. I got myself a set of these cookie molds last year and break them out every now and again. WARNING – you can’t just throw any kind of cookie dough down for these little warriors unless you want some rather chubby Ninja. We all know that Ninja are never chubby, but in light of Santa Clause and the SNINJA (Snow Ninja) we might be more flexible. 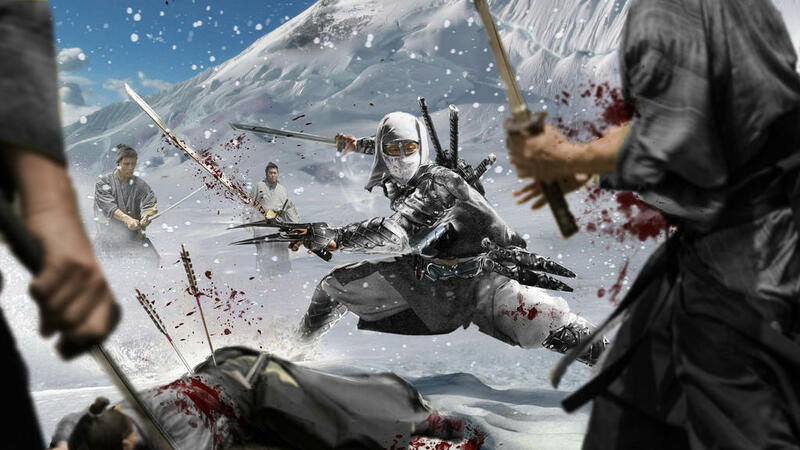 Though I kind of like this one on DEVIANT for a Snow Ninja but it’s just a little too RAW. So break out the cookie dough and make some Holiday Happiness. If you want your cookies to be looking crisp as Kris Kringle then you should consider the batter and go for Gingerbread style cookies. Try a few different recipes to find out what you like and if you make any, PLEASE send me the photos. I am very curious what designs you can come up with if you are creative with the frosting and sugar coating.